The World as Will and Idea (1819) holds that all nature, including man, is the expression of an insatiable will to life; that the truest understanding of the world comes through art and the only lasting good through ascetic renunciation. 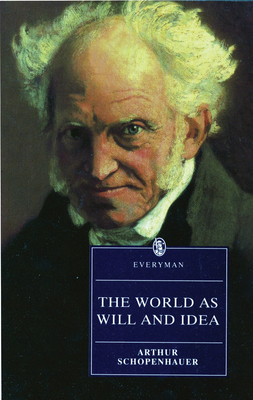 Unique in western philosophy for his affinity with Eastern thought, Schopenhauer influenced philosophers, writers, and composers including Nietzsche, Wittgenstein, Wagner, Tolstoy, Thomas Mann, and Samuel Beckett. The Work presented here appeals not only to the student of philosophy but everyone interested in psychology, literature and eastern and western religion. This paperback edition is the most comprehensive available and includes an introduction, bibliography, selected criticism, index and chronology of Schopenhauer's life and times.